Back in December I built this shiplap display wall in our kitchen and I still love it. But for the past few months it has been completely empty as I tried to decide how to decorate it with a more every day look for spring and summer. Up until now I’ve just used it for holiday displays but I want a more chic look that really pulls our dining area and living room together. 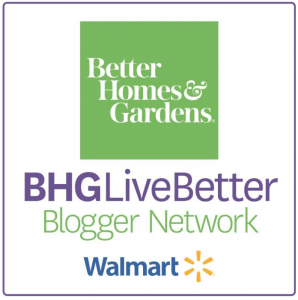 Today, I’m partnering with Better Homes and Garden products from Walmart, to create a fresh new modern farmhouse vignette in our dining area! Since the shiplap wall is so tall and narrow, it was really needing something tall to help balance the look. I thought these rustic lamps and linen shades were the perfect addition to the space. It adds warmth and dimension. I am a little obsessed with black and white gallery walls. Is it possible to have too many?! I love using these floating frames, they have a little more modern look to them with the open glass and guess what? They are right around $9 each!!! Such a great deal as frames can often run super pricey. 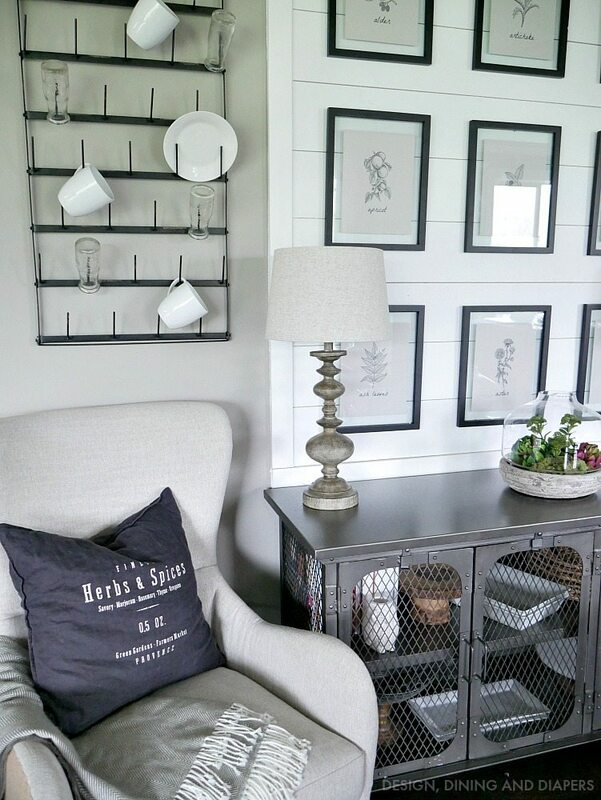 For this gallery wall, I wanted a fresh spring look that would also tie into our kitchen area. I love the look of botanical prints so I created these printables and printed them on light gray cardstock. If you would like to use these in your own home, I’ll be sharing the free printables next week! Did you buy or make the plant display? Can you please post the details on that? Looking forward to the free printable post! Thank you. I love how you’ve styled this area, Taryn. You’ve done a beautiful job. And I love the BHG items you used. Just one quibble, and this is for Walmart, actually. I find on a number of blogs that Walmart product links DO NOT take you to specific product information, rather to the site’s home page. Since the marketing people are making the effort connect with blog readers like me, I recommend they fix this link problem, ASAP. In my case, I don’t have the time or desire to search through the site to find these items, no matter how much I like them. Thank you so much for the feedback Ardith! I know I always try to link directly to products but I will relay your message back to the team. I love this idea, this will perfect in my living room. Thank you for this awesome inspiration ! The gallery wall looks fantastic. 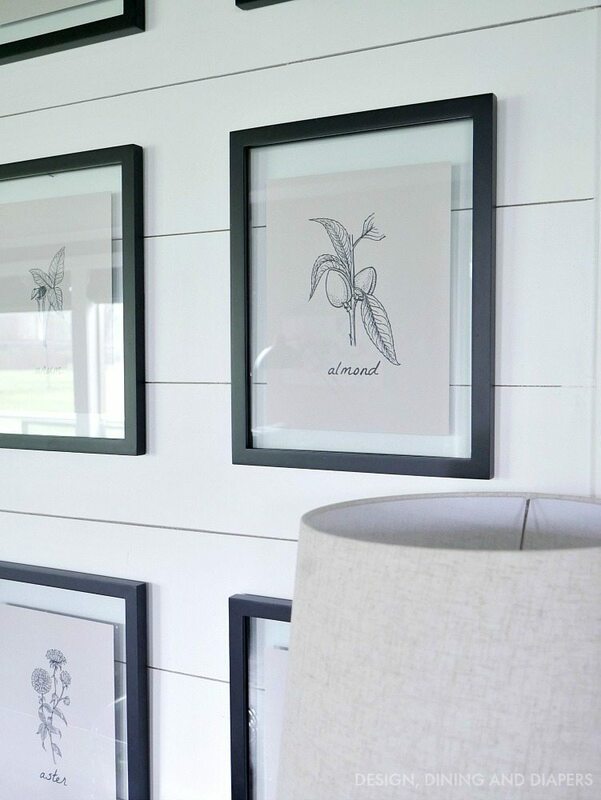 You were so smart to use the floating frames because they allow your shiplap wall to show through and the black frames really pop. I also think your buffet is very cool–beautiful job! Thank you so much for your kind words! Means so much. 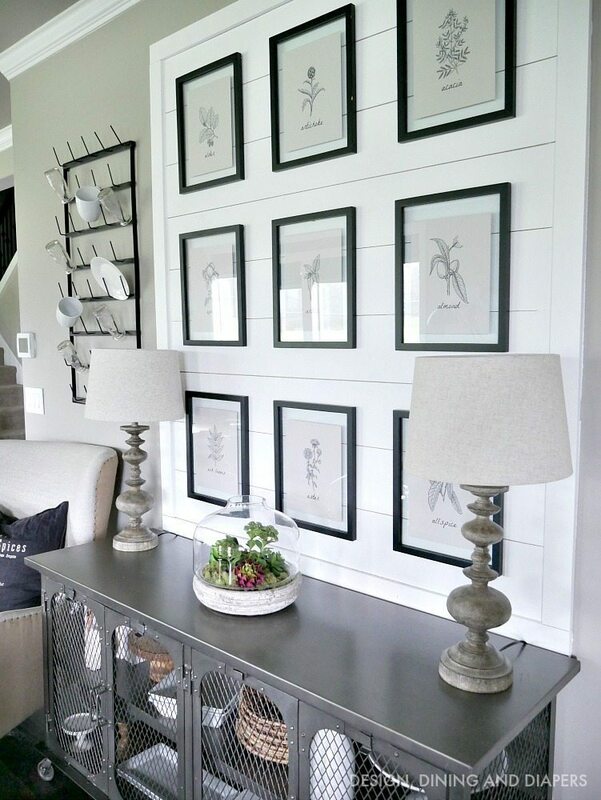 i really love the look of the gallery wall and the floating frames? 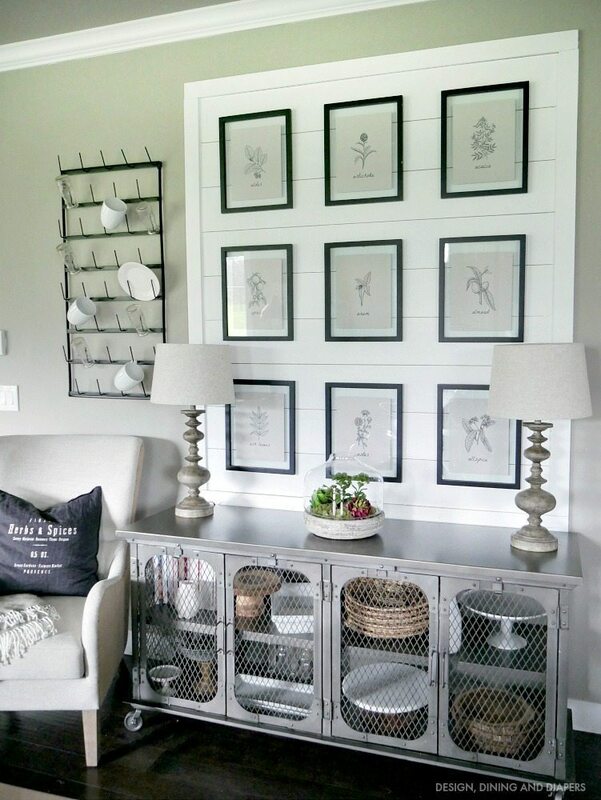 how did you evenly space the frames and what kind of hardware did you use? Thanks Nina! To hang the pictures evenly, I always start by hanging the middle picture first, than place the two outside frames the same distance from the middle frame. For these, I just hammered a nail into the wall, but I do love using 3M Command Picture Hanging Strips for a lot of my gallery walls. This is gorgeous! I just printed off a few for a wall gallery that I’m currently working on. I’m wondering how you attached the printables to the glass in the frames without seeing glue or tape? Thank you so much for offering these up!! Thank you! And so glad you are taking advantage of the printables. The frames came with small two sided square pieces of adhesive that are clear. So you can put a small piece behind the print. I LOVE what you’ve done with this space! Can you provide a link to the cart/table? Where did you find the plate and mug rack? It’s exactly what I’m looking for! 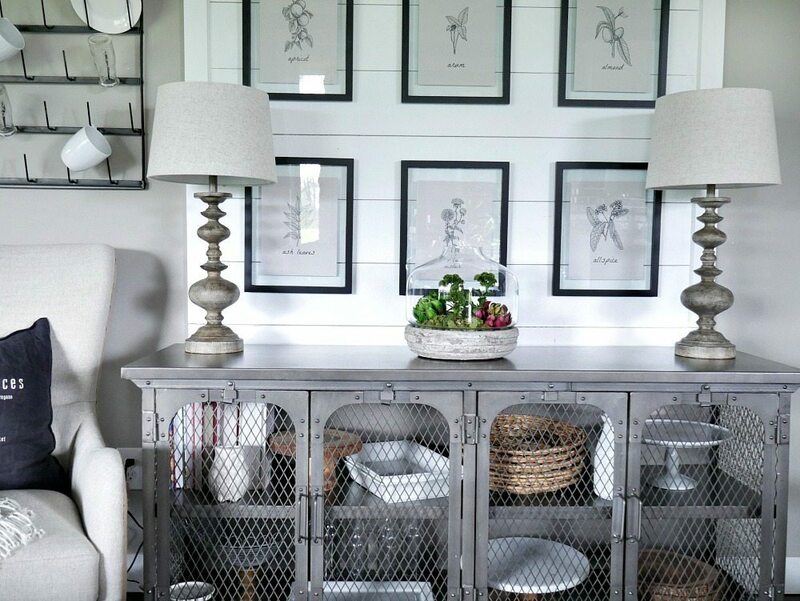 It’s from Decor Steals! They run daily deals, and this pops up on there pretty frequently. 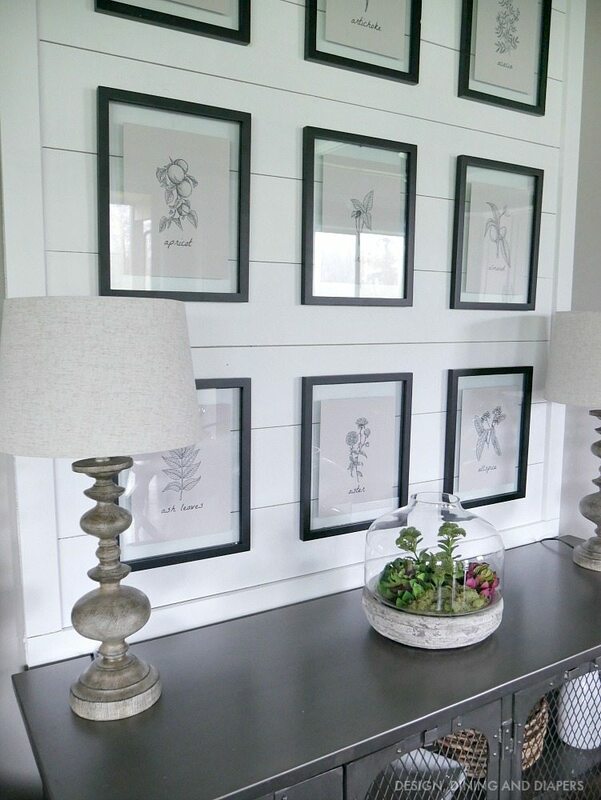 Love this gallery wall! 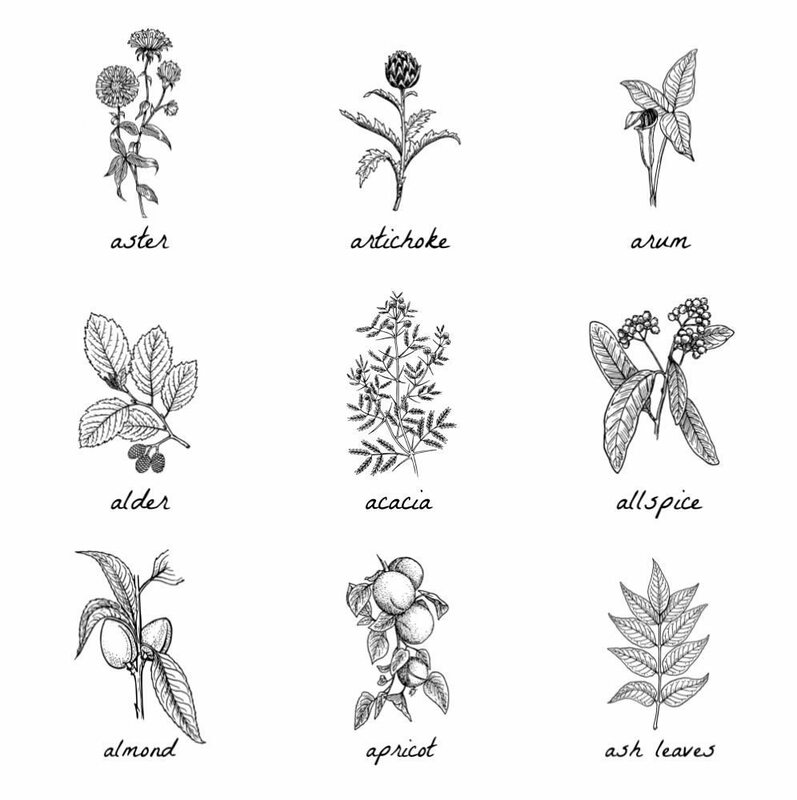 What are the dimensions of the botanical printables and what size frames did you use? Hi! Thank you so much! The prints are 8X10 (I used standard size printer paper) and the frames are made for 8X10 prints.